Data Science to Help Endangered Species – FIREPAW, Inc. Here is an exciting new tool to help stop the illegal trafficking of endangered wildlife: Software developed by data scientists uses a computational algorithm to mine hundreds of commercial sites on the open web for ads potentially containing illegal wildlife and wildlife products. 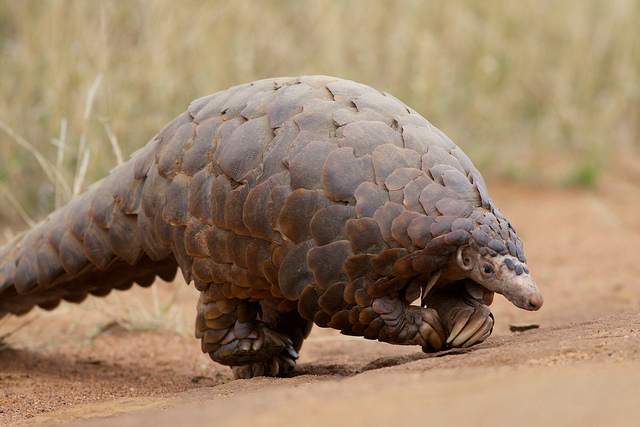 Wildlife trafficking poses a serious threat to not just the pangolin. The online market facilitates the illegal trade in the 5,600 animal and 30,000 plant species listed in the Convention on the International Trade in Endangered Species of Wild Fauna and Flora (CITES). The sellers and buyers who engage in these unlawful transactions are often driven more by ignorance of the trade restrictions and environmental implications than by malice. All the same, the World Wide Web harbors a major and growing network of such criminal activity by providing offenders with a largely unregulated channel that’s anonymous and often clandestine yet easily accessible, speedy, cheap and business-friendly. But perhaps not for long. Enter Enforcement Gaps Interface (EGI), a cutting-edge tool that uses a computational algorithm to mine hundreds of commercial sites on the open web for ads potentially containing illegal wildlife and wildlife products. It aims to help law enforcement agencies, retailers and nongovernmental organizations reduce and ultimately eliminate this rampant online trade. Photo: The pangolin, the world’s most trafficked mammal, is one of many endangered species that are victims of the online illegal wildlife trade. Photo credit: David Brossard.